I have been trying to reduce the stress and anxiety from my everyday challenges, one of the biggest being my wheelchair. Although I have a fairly new plain jane, it is very uncomfortable. I avoided shopping trips and outings because of the stress and misery. I almost slid out of it many times so it was also becoming increasingly unsafe. At a recent appointment, I got so stressed from the discomfort I felt like I was going to pass out. I have a brand new power chair but no way to transport it. I finally found this gem, don’t even have to transfer to the uncomfortable infusion chair anymore. Score! Yesterday’s shopping trip was actually enjoyable. I got it from Walgreens website, able to return to store if unhappy, no restocking fee. I snagged a 20% discount from Retail Me Not, good till end of year. Comfortable and stress free.. Priceless. This story is an example of just one of the many struggles that I can relate to… I love shoes! I now have many pairs I cannot wear anymore because they are heels or simply just too hard to get on and off my feet because of the weakness in my hands. Like Tonni and Wes, I also went on a trek for cute shoes that weren’t high heels, flip flops or slides, and have found there are some really adorable footwear choices out there that I can wear without fear of falling or getting stressed out because they are too hard to get on. Vionic has some really cute strappy sandals and Skechers Go Walks come in fun colors and styles, both are super comfy. So far, I have bought Vionic Rest Paros Strappy sandals, Skechers GOwalk 3 Pulse Women’s Walking and Performance Women’s GOwalk 3-Digitize Walking (shown above). Fighting the constant battle of tying shoe laces also sent me on another venture to the find any easy alternative. I tried a pair of the elastic no tie shoe laces but my hands are too weak to hold the shoe open and get it on my foot. Zubits Magnetic Shoe Closures (also shown above) were the perfect answer to that fight. I got a set for each pair of my shoes with laces from Amazon and absolutely love them. Problem: Opening jars and bottles (especially small water bottles) can be a daunting task, not only for people suffering from motor neuron disease, but arthritis and just plain getting old! My hands just don’t have the strength and it can get pretty frustrating. I love to cook but there is not always someone here to help if I need it, and let’s face it, I already use my teeth for more things than I probably should! 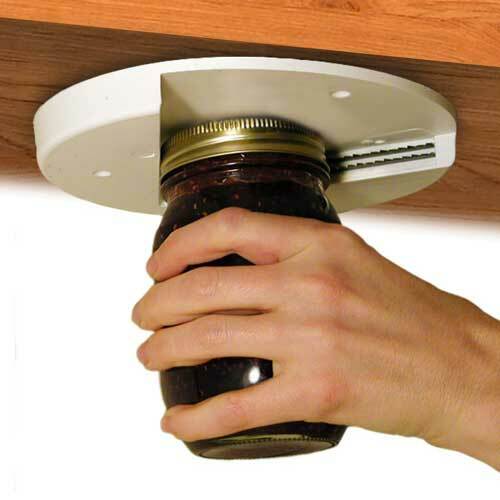 Solution: The EZ Off Jar Opener. It gives me independence and it will still work in a power outage! Pretty simple. It mounts under a cabinet, can’t even see it. You can use both hands and it works with very little effort. If you can turn the jar, it WILL open. Hey, it even opens fingernail polish! Have a Great (hair) Day! As I started losing strength in my arms and hands, it was getting increasingly more difficult to use my big clunky hair dryer, so I ordered this little baby. 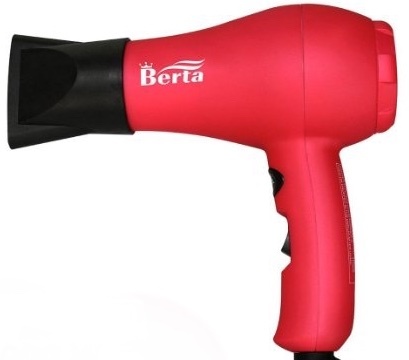 When it came in the mail, I was concerned about it’s size and strength to dry my hair, but the Berta 1000 is awesome!! It dries my hair in less time than the monster 2.4 pound hair dryer I was using. It only weighs 10 ounces and has a nice long cord. It’s all about the little things that make my life easier. Plus, it just happens to come in my favorite color…Pink! LOVE IT!! !